Across the entire automotive industry, few cars exist so completely in the overlap of both the enthusiast and the general automotive audience as the Porsche 911. Originally introduced in 1963 as a rear-engine sports car with a trunk in the front and the engine way in the back, the 911 has changed over the past 55 years, but the general format remains the same. Last week, before the onset of the LA Auto Show, Porsche announced the latest generation of their iconic 911. This generation of the model is known as the “992” among enthusiasts, with the previous generation being the “991” and, before that, the “997”. 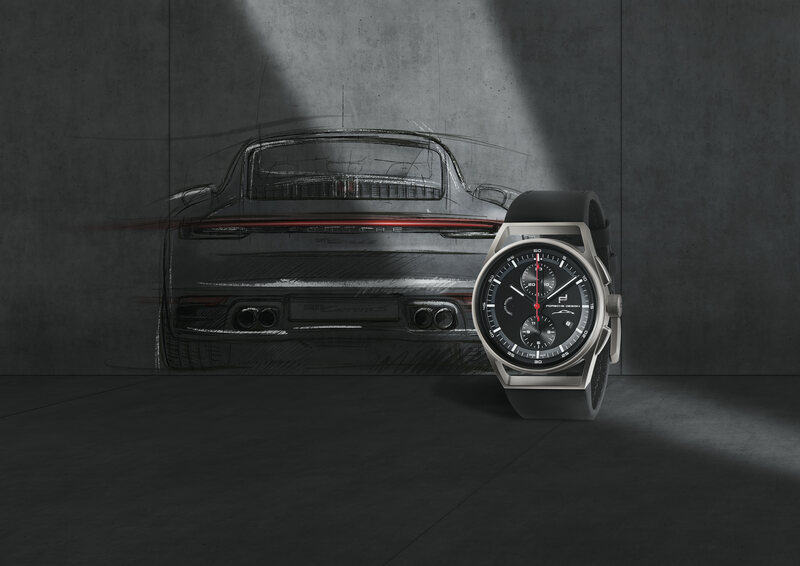 With each passing generation, Porsche makes a bid for the future face of the brand, the core of their sporting line up. 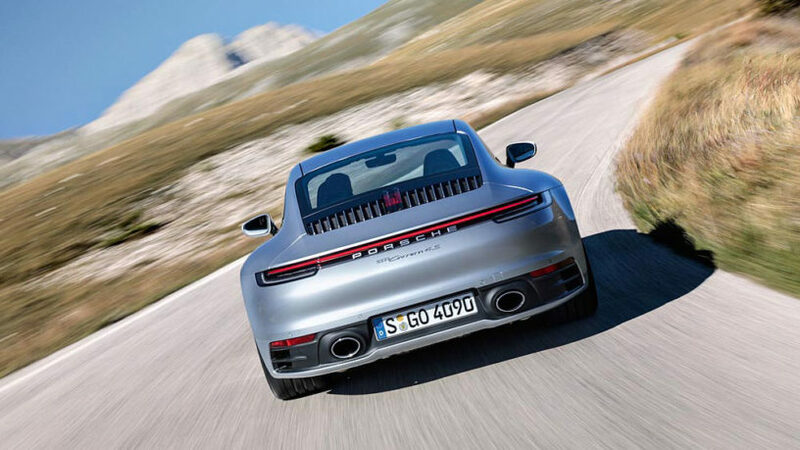 Still rear-engine and looking largely similar to its predecessor, the new 992-generation Porsche 911 is an evolution rather than a revolution, which is a smart play on Porsche’s part. With changes to the much-loved 911, less is more. The thing to know about the 911, any 911, is that it is the soul of Porsche. While the brand wisely sells a great deal of vehicles like the Cayenne (SUV), the Macan (CUV), and the Panamera (sedan), the 911 is the brand’s core identity, especially in terms of legacy. With that in mind, Porsche has to be careful when launching a new generation of the 911, especially after the previous 991-gen spawned an incredible number of very popular versions, like the 911 R, the 991.2 GT3, and the very desirable 911 GT3 Touring. 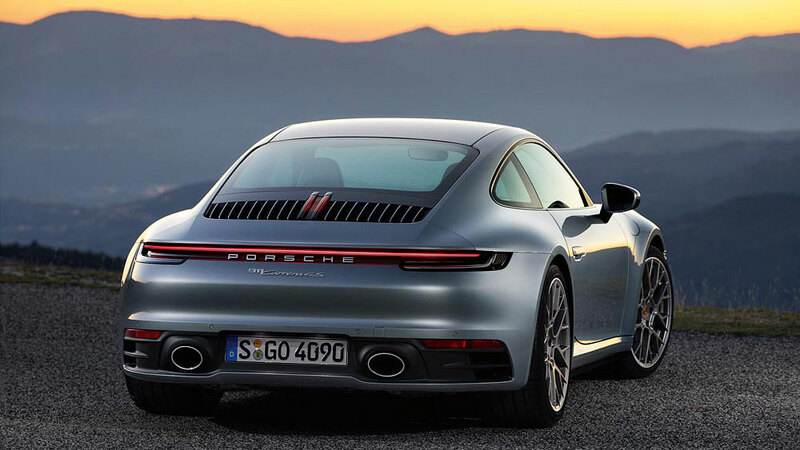 In a play to retain that long-standing charm, the new 992 911 retains a similar look while offering more powerful engine options and additional driver aid technology. From launch, Porsche is sharing details for the Carrera S and the four-wheel-drive 911 Carrera 4S. 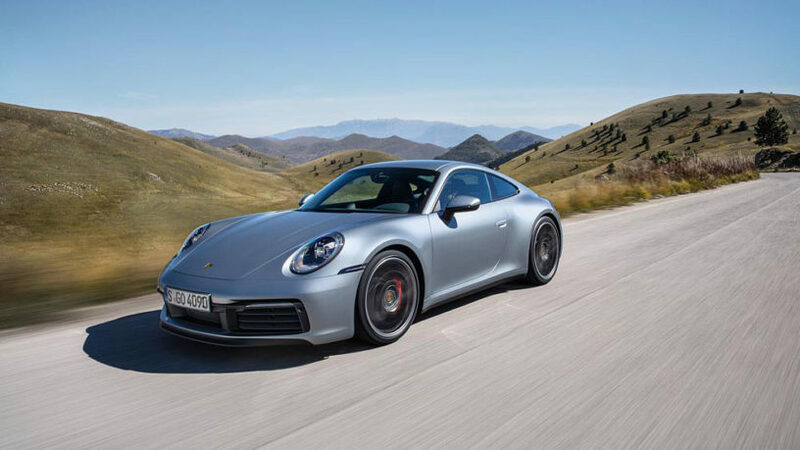 Both models use a 3-litre twin-turbo flat-six engine (making 450 PS and 530 Nm of torque) that is mated to a new version of Porsche’s dual-clutch PDK transmission. 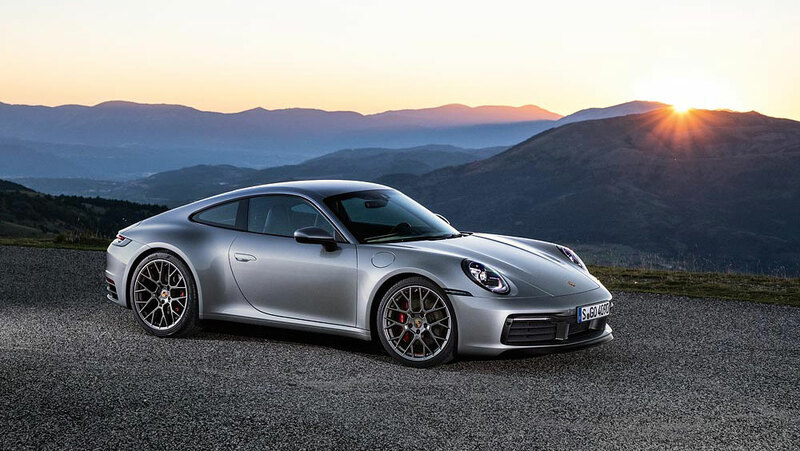 The two 911 S models are very similar in performance with 0–100 km/h taking 3.5 seconds in the S and 3.4 in the all-wheel-drive 4S (both with the optional Sport Chrono package). Top speed for both cars is a little over 300 km/h as, with each progressive generation, the 911’s performance only increases. The main changes to the 911 come in the form of updates to both the exterior and the interior design. The exterior has a more pointed nose reminiscent of the 993-gen, and the body is both longer and wider. Most noticeable is the entirely updated rear, which carries a tail-spanning LED array that connects to the brake lights in a manner easily seen as borrowed from the Panamera. The design makes the tail, and its integrated rising spoiler, appear higher and rather more pronounced than the tail of the previous generation. While still a 911 from any angle, it won’t be hard to tell a 992 from the earlier 991. With a revised centre console, a new shift lever, a new 10.9 touchscreen infotainment system (similar to the one in the current Cayenne and Panamera), a new partially digital drivers gauge pack with two seven-inch screens flanking a central analogue tachymeter (a considerable departure from the 911’s signature five-pod gauge setup). 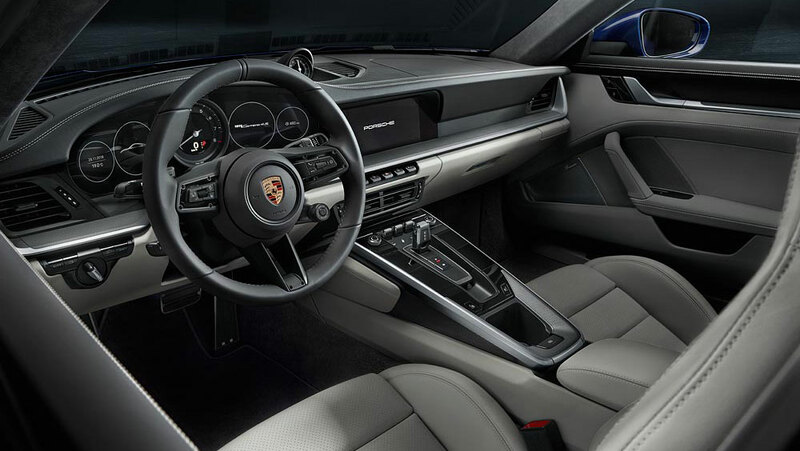 All with the updated screen and more digital interior, Porsche has also added adaptive cruise control, optional night vision assist with thermal imaging, and the new Porsche wet mode. A standard feature, this mode senses when the road surface is slick and ensures that all of the available vehicle settings and safety controls are best configured for maximum grip. 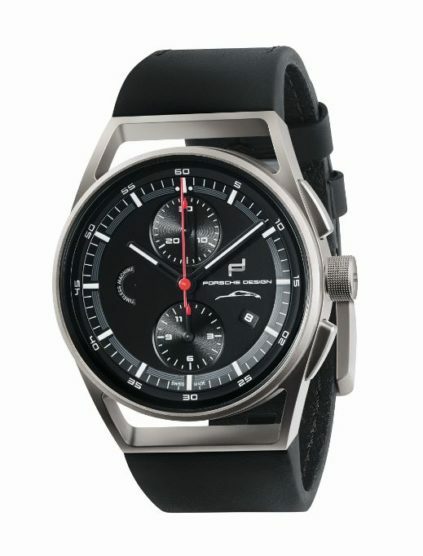 Also announced alongside the new 911 is a commemorative watch from Porsche Design called the 911 Chronograph Timeless Machine Limited Edition. 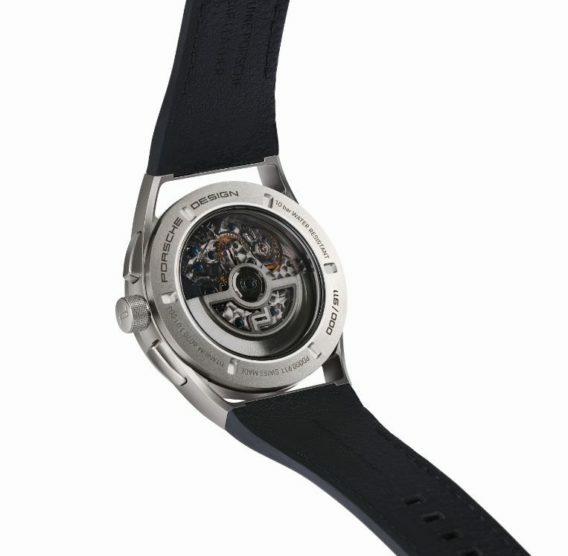 With a distinctive motorsports theme and a very literal connection to the 911, this watch is 42mm wide in titanium with a Swiss automatic movement and is (fittingly) limited to 911 units. In many ways, the 992 is evidence of an “if it ain’t broke, don’t fix it” ideology that wisely builds on the strengths of the previous generation. While the new tail and increasingly digital driver experience may ruffle the feathers of some purists, Porsche has a knack for ensuring that the latest 911, for most drivers, is the best 911. Canadian pricing starts at $129,100 and we’ll have more on this new 911 very soon–hopefully from behind the wheel.